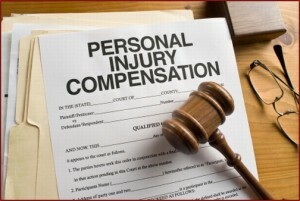 Personal Injury Law covers injury that results from the wrongful conduct of a person, entity or business. When a person’s wrongful behavior causes harm, the harmed party has a right to sue for damages. Under the law, conduct can be found wrongful under a number of different theories, including intentional acts to do harm to another person or careless acts that are reasonable likely to cause a particular type of harm to another. Under certain circumstances, a person can even be held liable for damages that they cause to someone else even where they did everything a reasonable person would do to avoid harm. This is known as strict liability. Each theory for liability is known as a cause of action. Those who have suffered injury from the conduct of someone other than themselves should seek the advice of an experience personal injury lawyer. If you have been injured, it is imperative to contact a California personal injury law attorney immediately to take a look at the circumstances that led to the harm. An attorney can evaluate the scenario and determine the appropriate cause of action for the client if one exists at all. The most common theory used (or cause of action asserted) to recover for damages is negligence. In layman’s terms, negligence arises from a failure to use reasonable care, resulting in damage to another. California Personal Injury Law negligence can arise in almost any situation, and is commonly present in auto collision scenarios where a car collides with another car or a pedestrian is struck and where injury results. However, motor vehicle accidents are not the only place negligence is found. The cause of action can also be applied to slip and fall scenarios in retail establishments, dog bite scenarios, and unsafe or faulty products. To prevail at trial, the plaintiff must show by a preponderance of the evidence that a negligent act caused the damages they are alleging. Preponderance of the evidence means more likely than not or greater than a 50% chance. The viability of bringing a negligence lawsuit depends on a lot of different factors including the likelihood of prevailing on the merits of the case, the amount of damages sustained, the costs of litigation, and the ability of the defendant to pay. A lawyer will consider all of these factors before taking a case. The law requires that a personal injury lawsuit resulting from negligence must be brought within two years from the date of the alleged wrongful conduct. This is known as the statute of limitations. After the two years is up, no recovery can be had no matter how good the case may be against the defendant. Special rules may toll (postpone or extent out) the statute of limitations date including mental incapacity or if the plaintiff is a minor. In other situations, there are laws that make the general two year limitations period shorter such as when one is alleging a negligence action against a government agency. When asserting a claim against a government entity such as a city or the State of California, a claim form must be submitted to the appropriate entity within 6 months of the date of the alleged injury. To best protect yourself from losing important legal rights, it is important to consult with an attorney as soon as possible. A remedy is what the court awards the damaged party when they prove all the elements of the cause of action. Generally, the remedy is money damages, but can also include punitive damages and injunctive relief (order of court for someone to do or refrain from doing something). To get money remedy, the plaintiff must prove the nature and extent of their harm. Where the harm is physical injury, money damages are usually calculated by proving medical bills, costs of future treatment and requesting pain and suffering money based upon the medical bills. Usually, medical expert testimony is required to show the extent of medical treatment reasonably necessary for a particular health condition. Because damages are based mostly on the reasonable medical bills incurred and reasonable medical expenses to be incurred in the future, it is important for those wanting to assert such action against a person or entity to get the appropriate treatment and care from the very beginning. 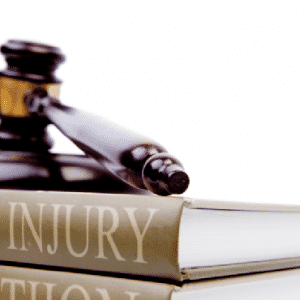 Medical documentation of personal injury is a must when going to court because non medical professionals opinions are not admissible to prove nature and extent of physical harm or comment upon the reasonableness of treatments. Our law firm handles all different types of personal injury law cases and provides free case evaluation for those who call. All calls are directed to attorney Alexander D. Napolin for initial review. To contact our office, call 909-325-6032. 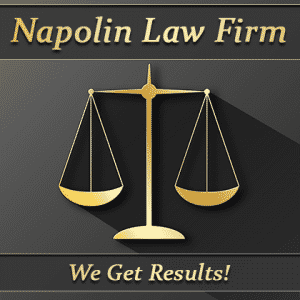 We take cases on contingency fee basis which means that attorney fees are paid as a percentage of recovery. For cases that we do take, no payment is due our office unless money is collected on behalf of the client. Costs are generally fronted by the law office when appropriate, however, a determination on who is to cover costs is made upon our agreement to engage representation. 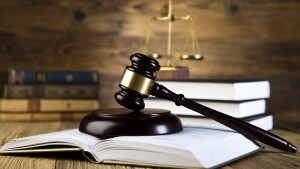 A California Personal Injury Lawyer can help you with: Animal Attack; Dog Bite; Car; Truck; Motor Vehicle; Motorcycle; Boat; Pedestrian; Auto; Accident; Collision; Head Injury; Pain and Suffering; Traumatic Brain Injury; Wrongful Death; Nursing Home Abuse; Slip and Fall; Spinal Injury; Train Wreck; Arbitration; Mediation; Litigation; Trial; Lawsuit; Severe Burn; Whiplash; Amputation; Loss of Limb; Botched Surgery; Medical Malpractice; Battery; Assault; Toxic Exposure; Products Liability Claim.